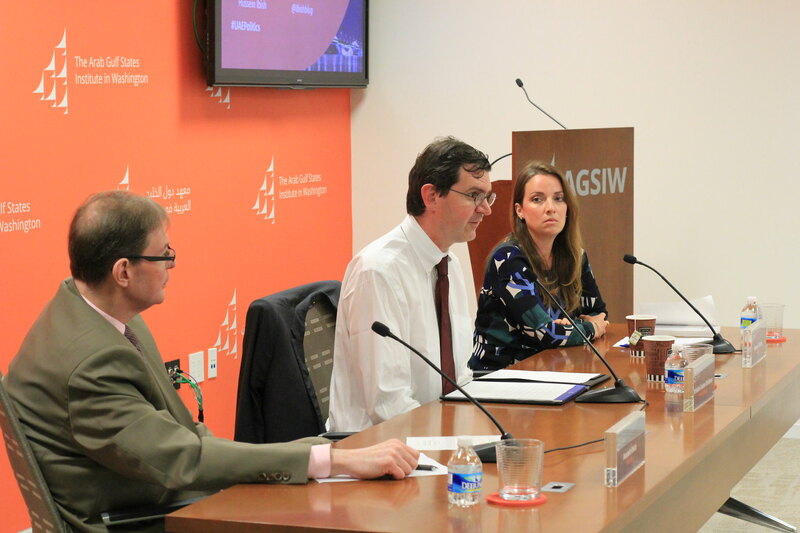 AGSIW was pleased to host a panel discussion with Kristian Coates Ulrichsen, author of The United Arab Emirates: Power, Politics and Policy-Making. AGSIW Senior Resident Scholar Karen E. Young served as discussant and Senior Resident Scholar Hussein Ibish moderated the panel. Led by Dubai and Abu Dhabi, the United Arab Emirates has become deeply embedded in the contemporary system of international power, politics, and policymaking. Only an independent state since 1971, the seven emirates that constitute the UAE represent not only the most successful Arab federal experiment but also the most durable. However, the 2008 financial crisis and its aftermath underscored the continuing imbalance between Abu Dhabi, Dubai, and the five northern emirates. Meanwhile, the post-2011 security crackdown revealed the acute sensitivity of officials in Abu Dhabi to social inequalities and economic disparities across the federation. In The United Arab Emirates: Power, Politics and Policy-Making, Kristian Coates Ulrichsen charts the various processes of state formation and political and economic development that have enabled the UAE to emerge as a significant regional power and major player in the post-Arab Spring reordering of Middle East and North African politics, as well as the closest partner of the United States in military and security affairs in the region. Government bonds are a popular remedy to budget deficits across the Gulf Cooperation Council states right now.